There’s an old saying: “you get what you pay for”. When it comes to laptops, especially those targeted at gamers, this statement is very true. You can either spend a little and get decent specs, or you could start cracking open the piggybank to shell out as much as possible for high-end machines. 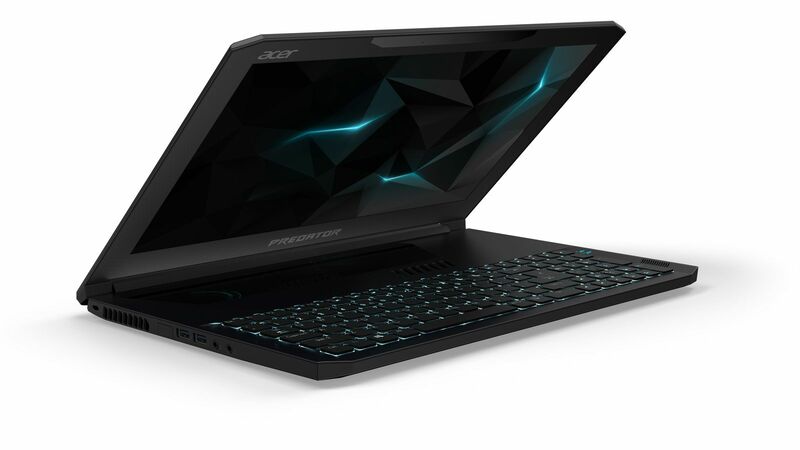 If you don’t mind making an investment and want to take a whole lot of power with you on the go easily, then have a look at the upcoming Predator Triton 700 from Acer. This beast of a machine comes in at a whopping $3000. That’s a pretty steep price! So, what are you getting for that much? Thankfully, a lot. For starters, the thing is powered by a GTX 1080—just a notch or two behind the desktop equivalent. That means you’ll have full desktop-capabilities in a very sleek form factor. This is thanks to Nvidia’s Max-Q technology, which keeps the profile of the GPUs slim thus allowing them to be fitted into compact spaces without having to sacrifice power. The Predator Triton 700 houses the high-performance NVIDIA® GeForce® GTX 1080 (overclockable) GPU and standard-voltage 7th Generation Intel® Core™ processors in a svelte 18.9 mm-thin (0.74 inch) aluminum chassis, thanks to Acer’s industry-leading AeroBlade™ 3D metal fans that increase airflow by 35 percent[i] yet take up less space within the device. Two NVMe PCIe SSDs[ii] in RAID 0 configuration and up to 32 GB of DDR4 2400 MHz memory helps the system run at peak performance. Acer’s Triton 700 will hit North American shelves in August, once again for the price of $3000.